Fancy footwork! Bling-encrusted anklet of brilliant faceted crystals with a sweet butterfly hanging crystal charm. 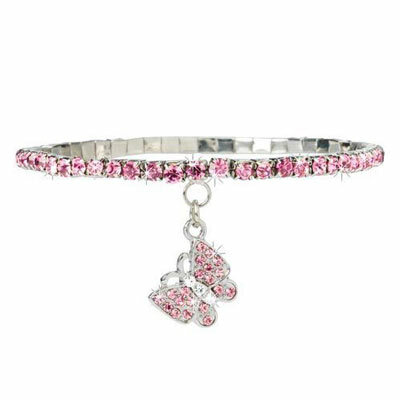 Brilliant Butterfly Anklet is stretch style. One size fits most. ALMOST SOLD OUT!